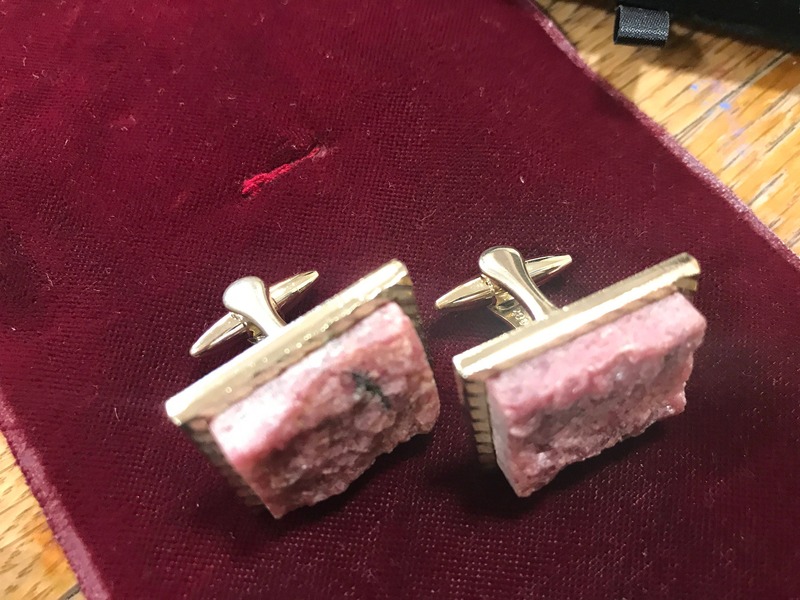 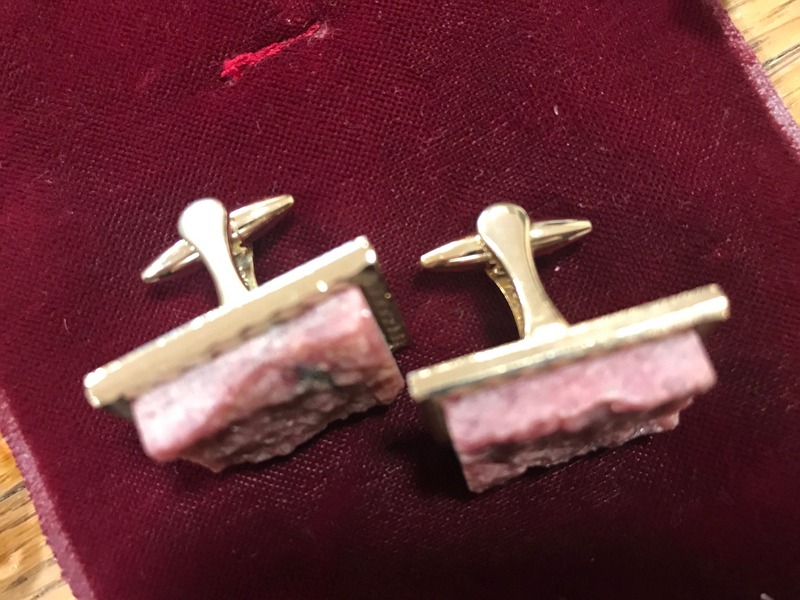 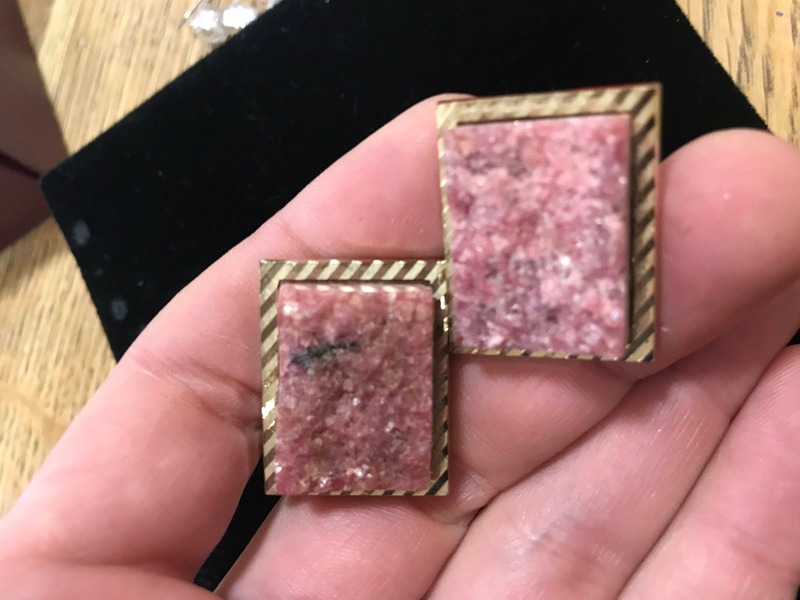 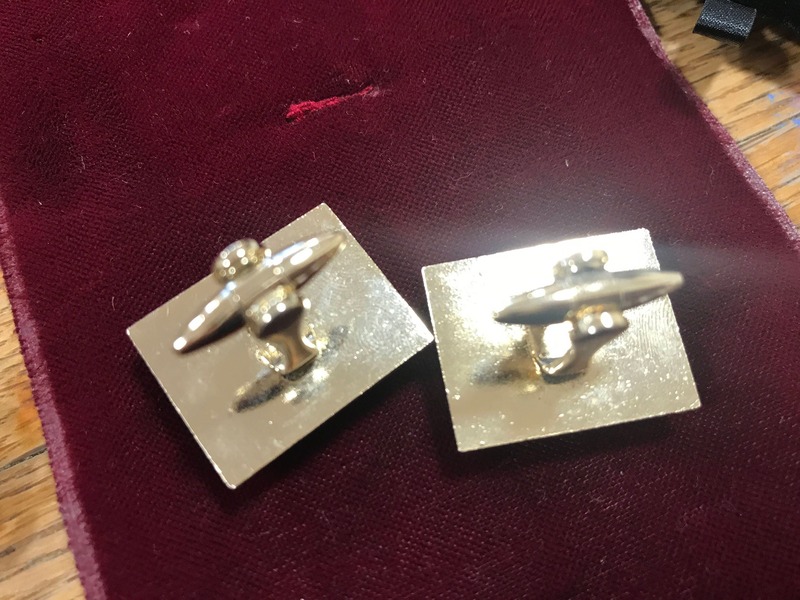 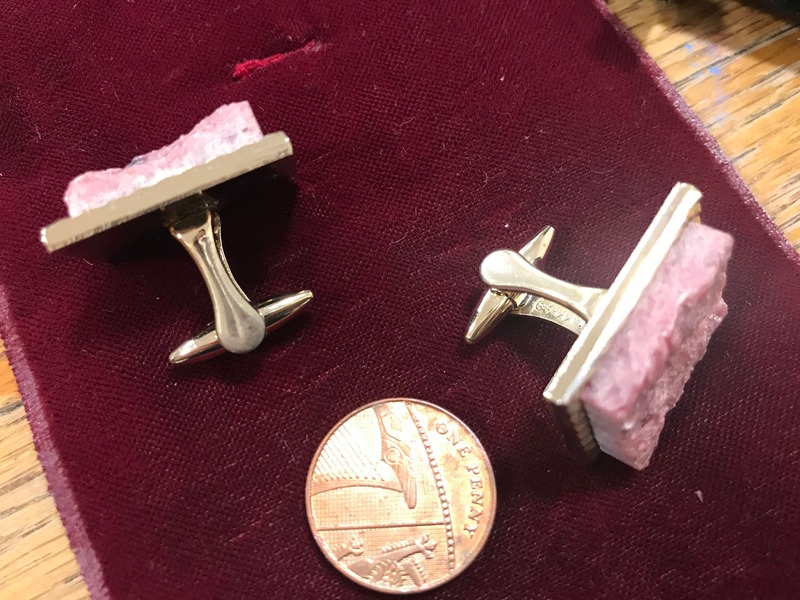 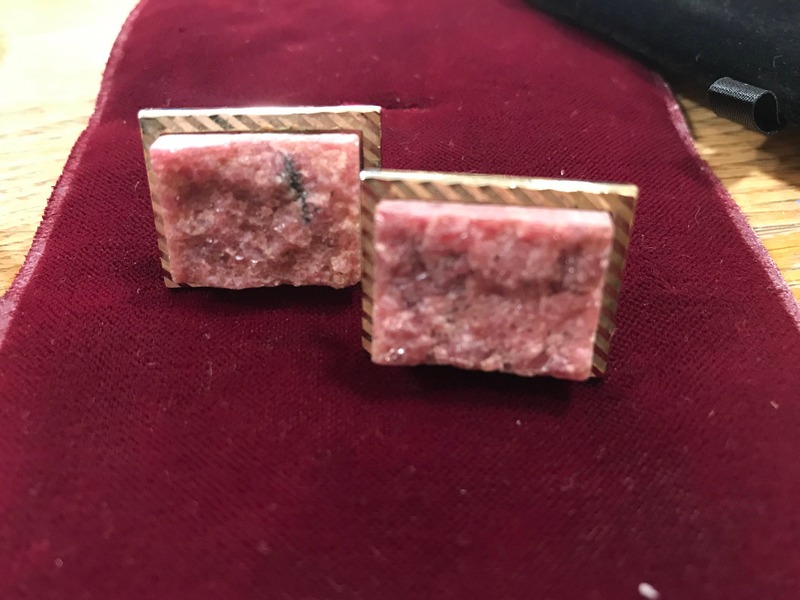 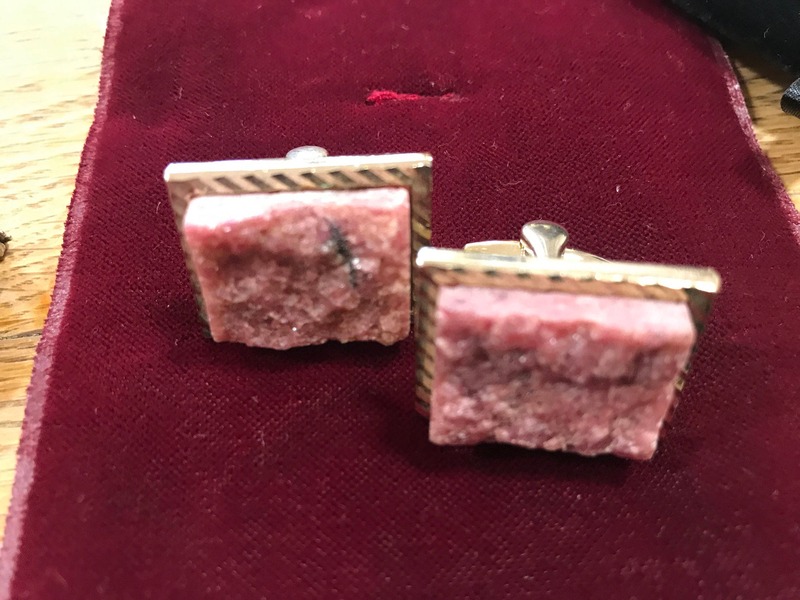 Here are a great pair of chunky vintage cufflinks. 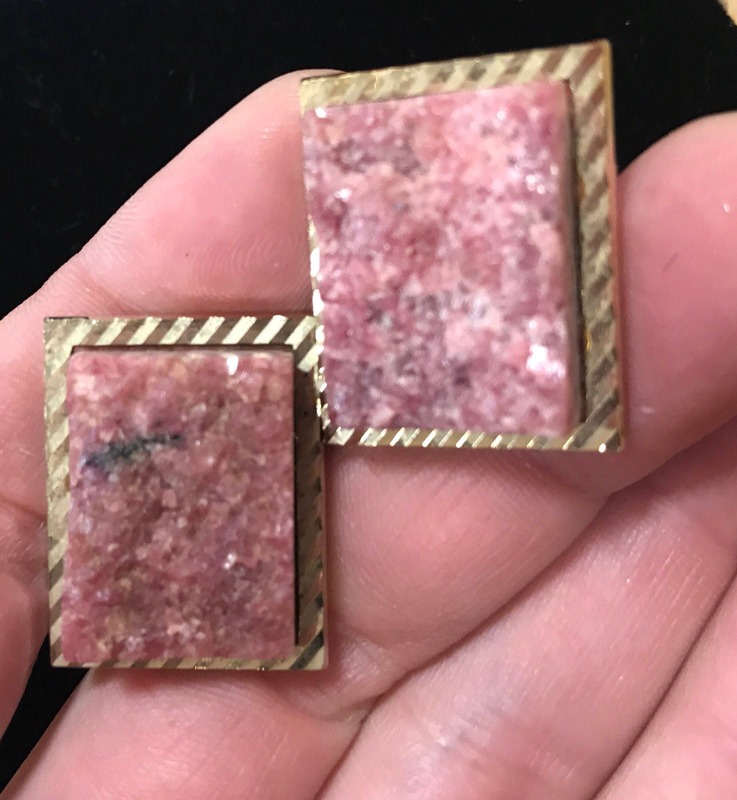 They are made from a gold tone metal and set with a pink coloured Quartz Druzy. 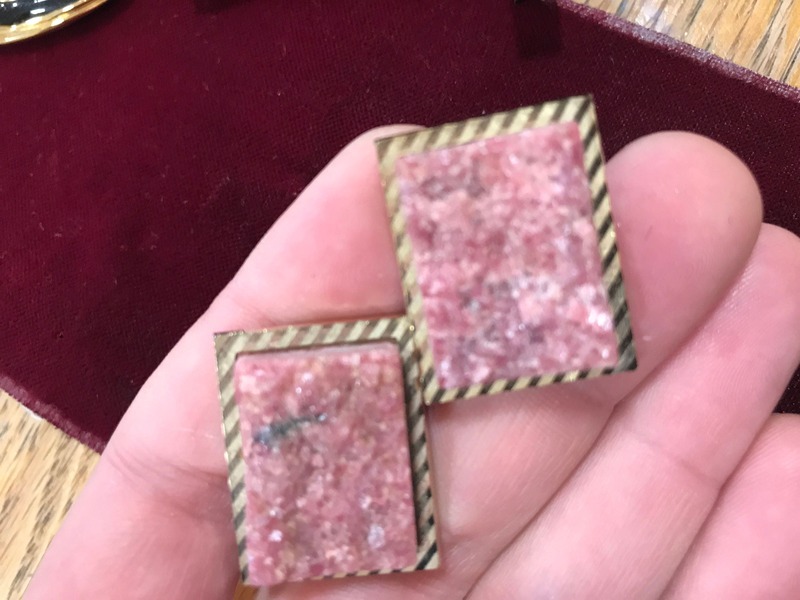 They measure 2cm by 2.5cm. 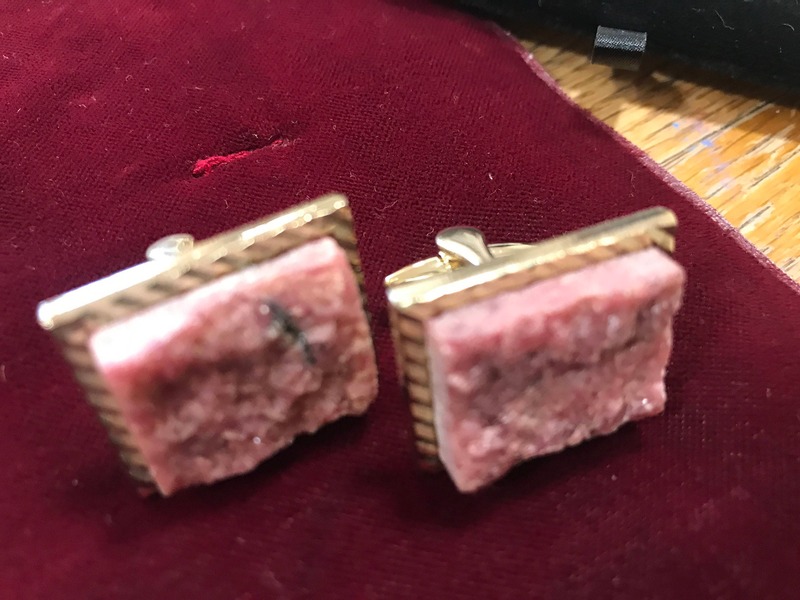 These remain in excellent vintage condition.